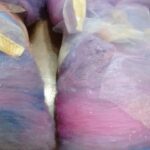 Handspun hand painted angora yarn. This yarn is 2 -ply. 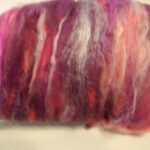 Use this handspun hand painted angora yarn with some of my other handspun yarns for a unique hat/ scarf / shawl or cowl. 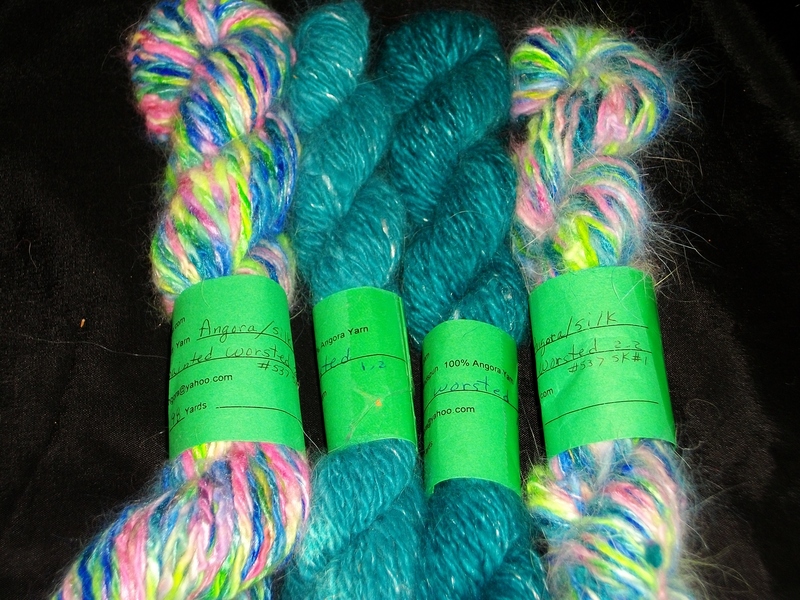 skein #2: Handspun 100% angora yarn, hand dyed in teal blue, 50 yards, worsted. 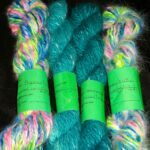 Skein #3: Handspun 100% angora yarn, hand dyed in teal blue, 50 yards, worsted. 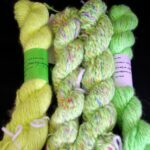 ***The fiber for my angora yarns comes from my own pet bunnies cared for by me personally every day. I have years of experience in caring for angora bunnies. When you purchase my yarns you are helping to preserve these amazing creatures for future generations. Many thanks for your support.